Neuromas are benign growths that tend to develop between your toes. While they're harmless, they can still cause some unpleasant symptoms. If you have a neuroma, you might have pain, burning, numbness, or a pins-and-needles sensation in the upper part of your foot. These symptoms are very treatable if you get the help of an experienced podiatrist like Innjea Park in New York. Click to book online now at the Murray Hill, Midtown East, Financial District, and Staten Island office location, or call the office nearest you to schedule an appointment. A neuroma is a benign nerve tissue growth that typically grows between your third and fourth toes. Although neuromas aren't cancerous, they can cause serious symptoms and be downright painful. But you don’t have to live with uncomfortable neuromas. Dr. Park offers both minimally invasive and surgical options for neuroma removal. Many neuroma sufferers have multiple symptoms at one time. While you might only have pain in the beginning, the other symptoms can gradually develop if you don't get treatment. The things that contribute to neuromas are controllable in many cases. For example, if you have flat feet you can undergo treatment for that condition. If you wear high heels constantly, you can modify your footwear to lessen the strain on your feet. If you're a runner, you might be able to modify your routine to put less stress on your feet. How can the doctor help with my neuroma? Dr. Park first determines how serious your neuroma is via physical exam and imaging tests. If your neuroma is in its early stages, the chances of a minimally invasive solution are very good. Your treatment may include custom orthotics, ultrasound therapy, corticosteroid injection, and footwear changes. If you're dealing with a serious neuroma, removal might be best. 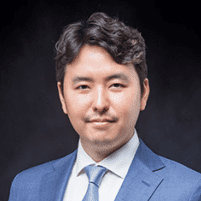 Dr. Park is an expert podiatrist who can remove neuromas using minimally invasive techniques. Schedule your appointment online now or call the office for help today.